Photoshop has long been the bane of the body positivity movement, giving people the ability to edit and erase away so-called body flaws and imperfections. But what about the photo editing apps we can download on our iPhones? 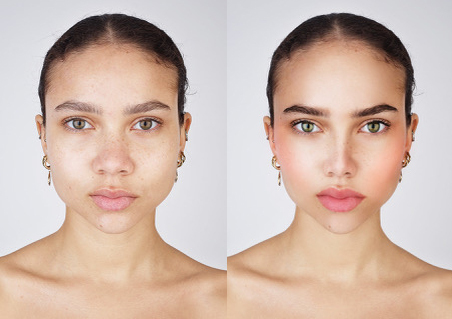 They're more accessible than Photoshop and can transform someone's appearance in minutes. The British photographer Rankin is making a point about just how detrimental these apps can be in his new project, "Selfie Harm." Rankin photographed 15 British teenagers between ages 13 to 19. He then asked each teen to spend about five minutes editing one of their photos using a free smartphone app until it was "social media ready." 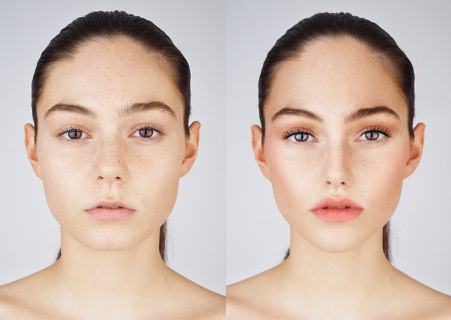 The teens went to work, and these are the results: bigger eyes, smaller noses, brighter skin, and lots of makeup. The edited photos look like something you would see in a glossy magazine ad and immediately assume was professionally retouched. They show not only how easy technology has made it to doctor photos, but also how pressured young people are to live up to impossible beauty standards. "Imagery, like anything else, can be healthy or harmful, addictive or nutritious," Rankin said in a press release. "And now, more so than ever, this has become a massive issue with the huge cultural impact of social media. Every platform is full of hyper-retouched and highly addictive imagery, and it’s messing people up." Rankin's project was inspired by the complicated relationship he's had with Photoshop throughout his career as a photographer. He's criticized the platform himself and also been criticized by others for using it—criticism he realized was completely justified. 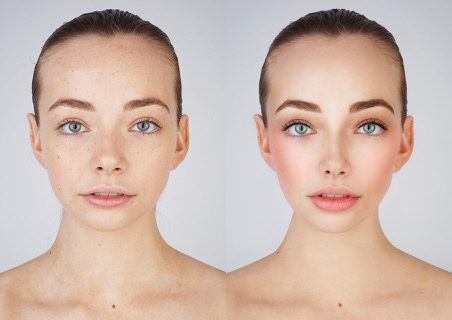 Over time, Photoshop's ability to transform images has been recognized as harmful. These phone apps, however, have not. "In fact we’ve been talking about airbrushing, retouching, and Photoshop for about 15 years now," he said in the press release. "These filters are something very new and, in my opinion, a lot more dangerous. It’s almost like giving a teenager access to a Photoshop expert." All of the women in the photos actually said they preferred their unedited version, but none of them left their photo untouched when preparing it for social media. "It’s just another reason why we are living in a world of FOMO, sadness, increased anxiety, and Snapchat dysmorphia," Rankin said. The photos are part of an exhibition called Visual Diet, a project by M&C Saatchi, Rankin, and MTArt Agency that's exploring the impact of imagery on our mental health. "We are force-fed tens of thousands of images every day, and it’s only increasing. But do we ever stop and think about what this is doing to our minds?" the press release reads. Below, more photos from the project.